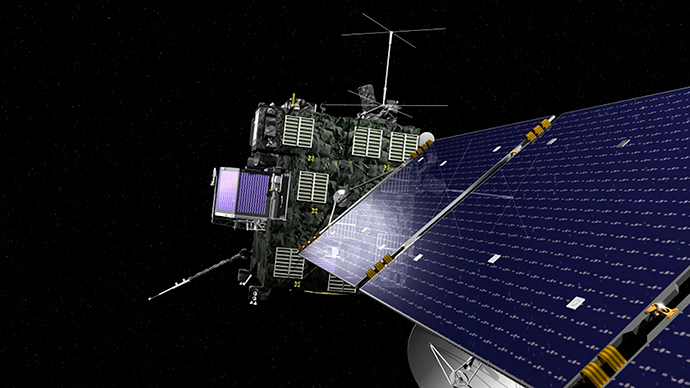 The Rosetta mission’s historic landing of a robotic spacecraft on a comet has brought to a head one of humankind’s timeless questions: are we alone in the universe? For the project’s leading land scientist, that answer may soon be on the horizon. 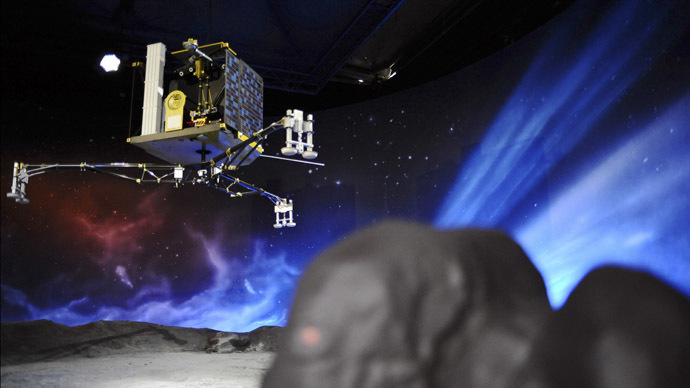 After a tense seven-hour wait, the lander module Philae touched down on the surface of Comet 67P/Churyumov–Gerasimenko at 16:03 GMT on Wednesday. The European Space Agency’s (ESA) mission control in Darmstadt was beside itself with joy. The impossible had become reality. And it was only the beginning. 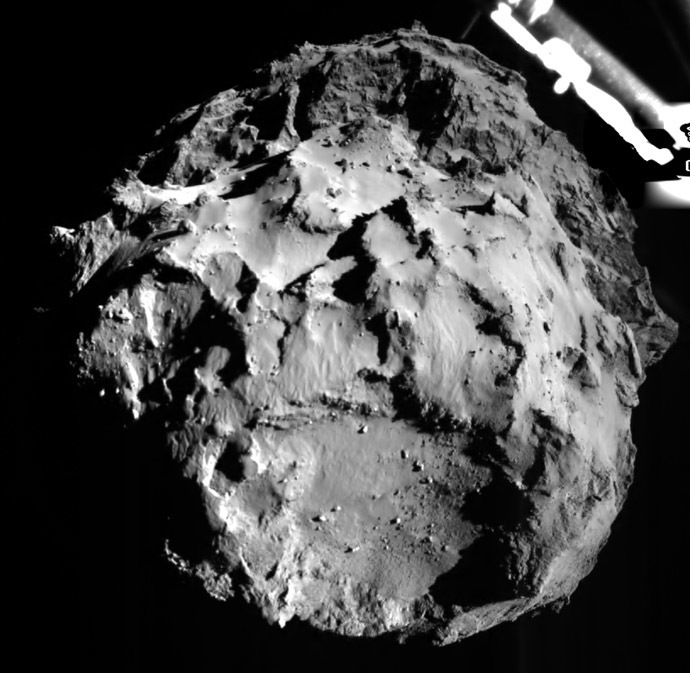 Soon, the first descent image came in, the clarity of the comet surface seemingly from a Hollywood blockbuster. Despite that amazing feat, what follows could revolutionize our understanding of life itself. But for Jean-Pierre Bibring, the astrophysicist who has worked on the Rosetta mission for over two decades, the crucial question of our very existence could be found on that relatively tiny spot in the solar system. “When you observe the solar system now, actually we do not understand why life started here. We are convinced that really the keys were in the origin of the system itself; the process that's really governed the modeling of different pass-ways,” Bibring said on Wednesday. “We are essentially convinced that these molecules, with their specific composition and structures, when they were fed in the oceans of the earth and possibly of other planets, were the missing link to the emergence of life,” he continued. 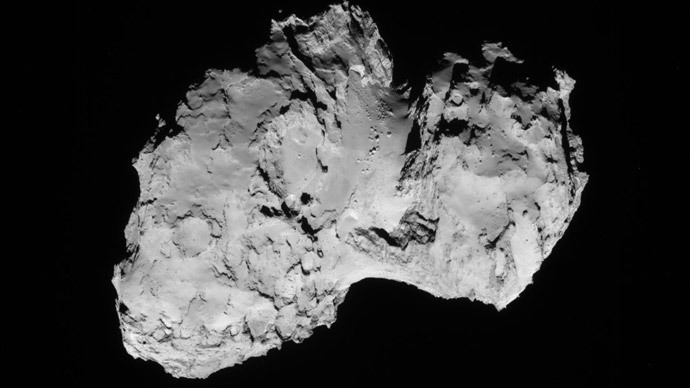 Bibring extols the “beauty” of the comet, saying it has the ability to preserve the composition of the ingredients out of which the entire solar system formed. “In particular, we know that comets are made out of ice, so they should be very bright, [but] they are darker than that. Why? Because most of the carbon is in the form of complex molecules that were formed prior to planets themselves forming, probably with a high level of complexity,” Bibring said. His comments touch on the theory of panspermia, which posits that life exists throughout the universe and is spread by asteroids comets and other astronomical objects. The theory, in fact, is nothing new. The Greek philosopher Anaxagoras first mentioned the term panspermia (pan means “all”, spermia means “seeds”) in the 5th century BC. The theory, however, did not become a topic of deeper scientific inquiry until the 1800s. 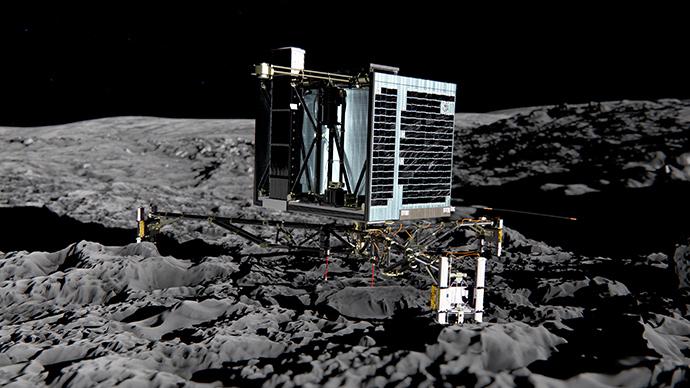 Philae is in a unique position to gather evidence for that hypothesis, as it is set to explore whether amino acids – the building blocks of life – exist on the comets surface. 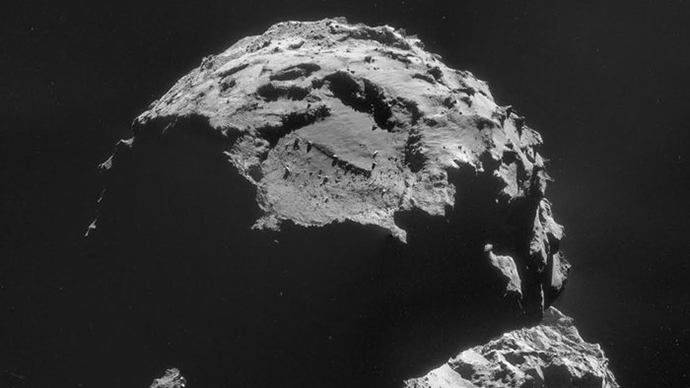 Shrouded in ice, comets are viewed as fossils from our solar system’s formation. Those traveling from the distant Oort cloud – a spherical cloud of predominantly icy objects believed to surround the Sun – are of particular interest. Lying ‘untouched’ by the sun, they offer a rare glimpse into our inner solar system, along with a potential 4.6 billion year look back into the past. Comets are the original source of Earth's water. That wee lander is now in position, poised to re-write what we know about ourselves. Bibring believes that by studying the constituent materials which exist on these comet surfaces, we can learn if they are specific to our solar system or are in fact distributed throughout the universe. “In other words, these should tell us some clues whether or not we are alone in the universe," he said. In April, astronomers using NASA’s Kepler Space Telescope discovered the first Earth-size planet orbiting a star in the "habitable zone" – the range of distance from a star where liquid water might pool on the surface of an orbiting planet. Some scientists theorize that one in every five stars in our galaxy have Earth-sized planets in the habitable or Goldilocks Zone. Whether life could have formed in liquid water on one of these ‘Goldilocks’ planets, or if it hitched a ride across our solar system on a comet, Philae potentially offers a key to the question of whether or not we are alone in the universe. What’s more, if life on Earth came from microbes that hitched a ride on a comet, then ironically, human beings would in fact be the alien life they have always been looking for.